As an Android developer publishing an application in Google Play, you simply publish the app and it appears live. However, in the Windows Store (and Apple’s App Store), there is a certification process where your application undergoes testing and a review by a human being before being published. So, you might wonder if there are any tips and tricks for passing certification in the Windows Store. Here are the top 10 tips that will help you pass certification. The Windows Application Certification Kit (WACK) is an awesome tool. Perhaps you have developed for an app store before and encountered the really fun cycle of: submit your app, wait, receive a failure notice, fix your bug, re-submit your app, wait, receive a failure notice, fix your bug, re-submit your app, wait…and repeat. The WACK reduces this cycle by giving you a way to screen your app locally for issues before you even submit it to the Windows Store. Essentially, the WACK is a series of automated tests (which are also run during certification). Running them locally, you can find and fix bugs before you submit your app to the Windows Store. 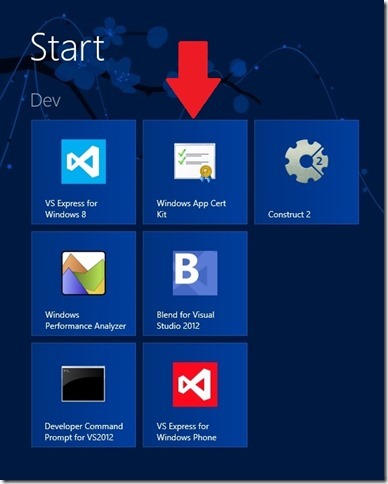 The WACK is installed when you install Visual Studio Express 2012 for Windows 8 (available as a free download here, halfway down the page in blue). When you install Visual Studio, you should also get a tile in your Start Menu for the WACK (see the picture below). Finally, here is some how-to documentation on using the WACK. Particularly for the performance requirements, it helps to test on devices running ARM processors and/or low-end machines. In general, it’s a good idea to test on several different machines. Also note that your app must provide the same user experience on all processor types that it supports (this is certification requirement 3.2). If your app has a different user interface or functionality when it runs on different processor types, you must submit a separate app for each processor type and describe the differences in the “Description” section of each app. Finally, you may be wondering “How do I test on ARM?” since Visual Studio doesn’t run on ARM devices. You can accomplish this through remote debugging. Tim Heuer wrote a fabulous post on how to enable remote debugging on an ARM device. I know that this part isn’t fun, but taking some time to read through ALL of the certification requirements will help you avoid mistakes. Here is the full list of Windows 8 certification requirements. There is also guidance on avoiding common certification failures and resolving certification errors. I’ve also listed some additional documentation in the Resources section below. 4. Create an accurate and compelling app listing page. Make your application description as detailed and descriptive as possible. There is guidance on creating a great app listing that is truly helpful. Don’t use your listing page to promote your company or products. Certification requirement 2.3 forbids advertising in an application description, so beware the appearance of trying to sneak advertising into your description. Don’t declare your app as accessible unless you specifically engineer and test it for accessibility scenarios. Make sure that you tell the tester everything that he/she needs to know. There is a “Notes to Tester” section when you submit an application, and you should utilize that as your mechanism to “talk” to the person who will be reviewing your app for certification. Besides the obvious items that you should provide (like the username/password of a demo account if your app requires login), you can explain your development choices and how they align to the certification requirements if you feel that anything may be misinterpreted. 5. Use the Windows Store simulator for testing calls to the Windows Store. Your app can use the Windows Store commerce APIs from the Windows.ApplicationModel.Store namespace for features like trial functionality or in-app purchases. If you use these: first of all, test your app to verify that it handles typical exceptions; you can do this using the Windows Store simulator available through the CurrentAppSimulator class. Then, make sure that you change your app to talk to the real Store and not the simulator before submitting (your app should use the CurrentApp class instead of the CurrentAppSimulator class, which is for testing purposes only). Finally, ensure that your app doesn’t crash if there’s no network connectivity. 6. Use the Visual Studio simulator for testing touch as well as different screen sizes, resolutions, and orientations. A certification tester (and of course, your end users) may be using a machine very different from your development box. The Visual Studio simulator lets you test your application’s behavior in a variety of conditions. In the Run dropdown menu with the green play button, select “Simulator” (it is probably currently set to “Local Machine”). Then click the button to start the simulator. When the simulator launches, you will see a menu of buttons on the right-hand side. Using the Visual Studio simulator allows you to test how your application will behave across numerous machines. You can simulate touch if you don’t have a touch machine, orientation changes for slates/tablets, different screen sizes/resolutions, and different locations if you utilize location-based services. 7. Ensure that your app is fully functional, and won’t be perceived as unfinished. The description given for your app listing page in the Windows Store is inaccurate or overly vague. Any incomplete sections, unimplemented buttons or menu choices, links to webpages that are under construction, empty pages that should contain data, use of language like “coming soon” and “beta”, etc. will give the impression that an app is incomplete. Broken or missing functionality will trigger this failure. Make sure that you provide enough information for the testers to test. For example, if your app has “login” functionality, create a test user account and provide the username/password in the “Notes to Testers” field when you submit your application. For more information, see this “1.2 App must be fully functional” blog post. Package content locally (or cache it) when possible, so you don’t have to pull resources from a network during launch. Load and do only what you need on launch. You can load other data and do other work asynchronously in the background or when you actually need it. For more detailed information, see this “3.8 App must meet the basic performance criteria” blog post. For more detailed information, see this “4.1 App must comply with privacy requirements” blog post. 10. Properly localize your app for all languages that it supports. The app’s metadata provided during the submission process on the Description page (such as its description, features, keywords, or screen shots) is either missing or doesn’t match the languages defined in your application. For example, you may accidentally provide a description in English for the Chinese version of the app. Don’t forget to provide localized screen shots! This one has tripped up a lot of folks. The app must support one of the certification languages. That is the subset of languages for which we have testers to confirm that your app meets the certification requirements. Make sure that the app is functional and complete for all of the languages that you claim. If any claimed language support is incomplete, this requirement will fail. For more information (including the difference between supporting languages and markets, and how to implement support for different languages properly), see this “6.5 App must be localized” blog post. Hope these tips were useful! If you want further information on developing a Windows 8 application, register for the AppBuilder program to get 30 days of guidance. 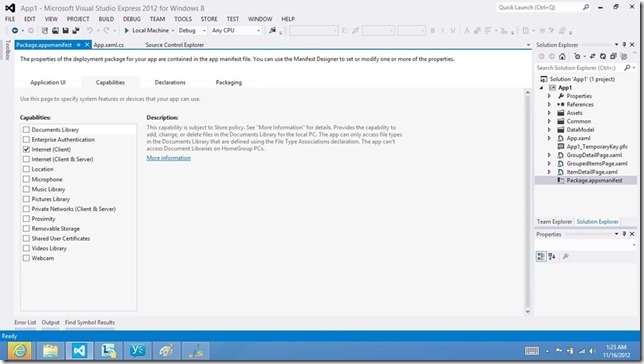 You can also get $100/app for publishing apps in the Windows Store before June 30, 2013; see Keep the Cash for details. 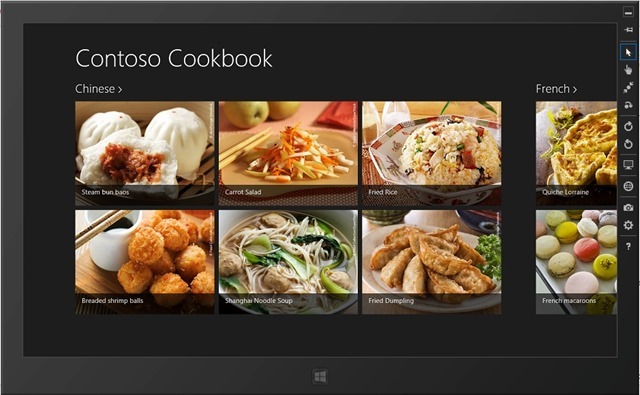 Windows 8 app certification requirements – This is the full list of certification requirements. If your app fails certification, it will specifically cite one of these requirements as the reason for failure. Avoiding common certification failures – This article lists some of the top causes of certification failure. Resolving certification errors – This article goes through each requirement and lists additional resources and/or common gotchas for that particular requirement. Developer support for Windows Store apps – There are a number of support options available, including phone, email, and live chat. You can also use the forums for free. BUILD 2012 session on “Windows Store: how does it work?” – This is a great video from BUILD 2012 on submitting to the Windows Store. The slides are available for download too. This article was originally published at http://blogs.msdn.com/b/jennifer/archive/2013/04/23/android-to-windows-8-top-10-tips-for-passing-windows-store-certification.aspx and is reproduced here by permission. Jennifer is a geekette who enjoys playing with new technology for software developers. She works as a Developer Evangelist for Microsoft. Her current focus is on Windows Store development for Windows 8.